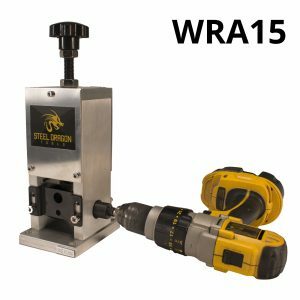 Steel Dragon Tools manufactures a range of wire stripping machines – from the hand-held, drill-driven wire strippers to industrial-sized, fully automatic wire strippers, plus several models in between. 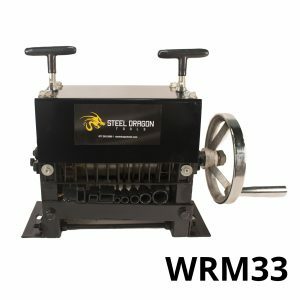 Steel Dragon Tools has five different automatic wire stripping machine models – WRA10, WRA15, WRA20, WRA35, and WRA40 – and two manual wire stripping machines – WRM25, WRM33, and WRM35. The WRM33 and WRM35 are benchtop wire strippers with m anual operation. The WRM33 and WRM35 will strip a variety of wire sizes including Romex. These machines are powered by an attached hand crank. The WRM33 and WRM35 are light weight and very portable. The blades are fully guarded to ensure complete safety during operation. The WRA10 and WRA15 are benchtop wire strippers. 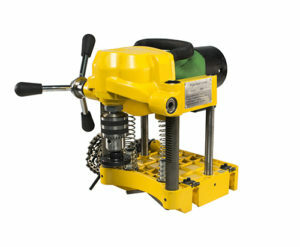 These models are drill-driven and are ideal for the occasional wire stripping. The WRA15 can also be used manually with an included hand crank handle. The WRA20 and WRA35 are larger, benchtop models with automatic operation. Both models feature built-in 120-volt motors. The WRA20 and WRA35 are portable for easy transportation to the job site. Both machines will strip a variety of wire sizes, including round and flat stock. The WRA35 also includes a hand crank for manual use. 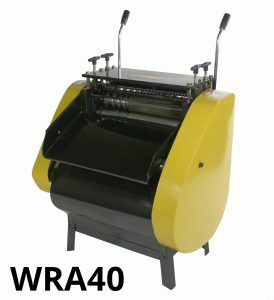 The WRA40 is the largest wiring stripping machine from Steel Dragon Tools. 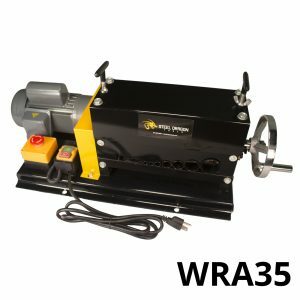 The WRA40 is a floor model that will strip up to 125 feet of wire per minute. This machine will cut two different sized wire at the same time from 34 AWG up to 1-1/2-inch wire. The WRA40 is powered by an American-made Leeson m otor. This machine is ideal for demolition companies, recycling companies, contractors, and scrappers. Stripped wire will fetch a higher price at the recycling facility. The WRA40 is also sold with a heavy-duty foot pedal. Steel Dragon Tools offers replacement cutting wheels for the full line of wire stripping machines. Replacement motor parts are also available for the WRA40. 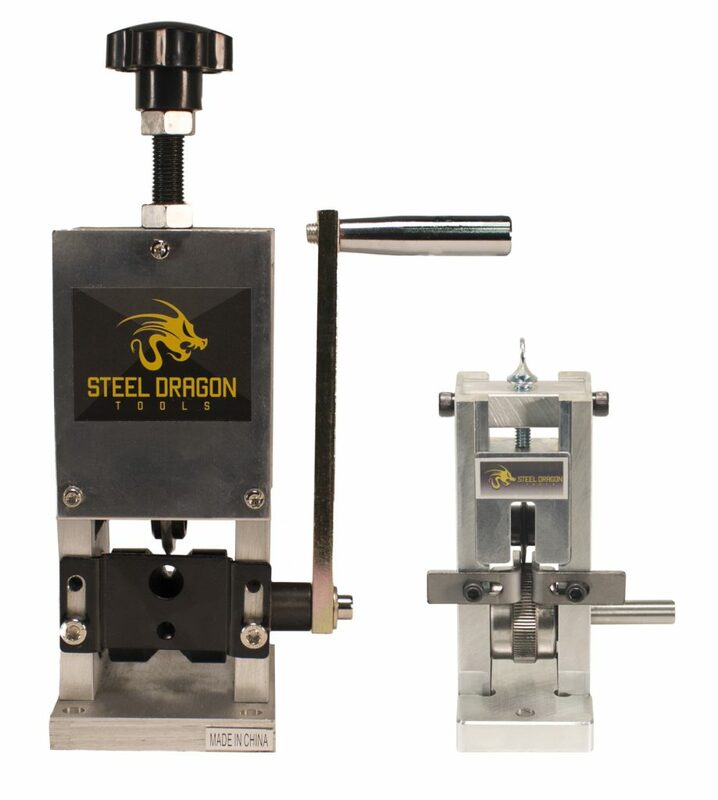 For more information on Steel Dragon Tools wire stripping machines and replacement parts, click here. 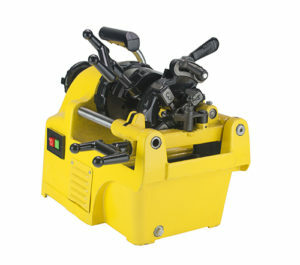 To purchase any Steel Dragon Tools wire stripping machines visit AffordableTool.com and ToolzUnlimited.com. For more information on any of the magnet tools made by Steel Dragon Tools, please contact customer service by e-mail here or by phone at: 734-224-7112.